For most people the thought of their puppy undergoing a surgical procedure with sedation can be frightening. We understand that this can be scary for caring dog owners and want to assure you that your puppy will be cared for by the most capable and caring medical professionals. At this time, there are no states with compulsory spay and neuter laws. However, spay and neuter procedures will ensure that no unwanted puppies are produced and will make it easier to train your puppy. Neutering a male dog will reduce the levels of testosterone in their body which have a positive impact on weight control. However, it is very possible to keep neutered and spayed dogs very fit simply with portion control and a regular exercise program. Lack of exercise and overfeeding will cause your dog to pack on the extra pounds, not spaying or neutering. Keeping your dog fit is very much in your control. 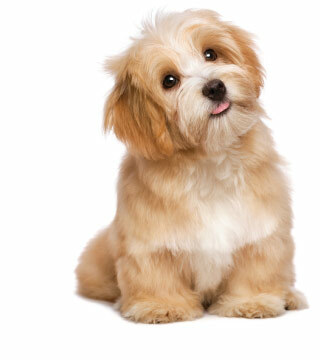 The generally accepted age for neutering a dog is between 4-6 months. We recommend that you wait until 6 months of age. The generally accepted age for spaying a dog is between 6 - 8 months. Spaying a dog once she is an adult is acceptable as well, although there's a slightly higher risk of postoperative complications in older dogs, as well as in dogs that are overweight or that have existing health problems. Therefore, spaying a dog when she is still a puppy is recommended in most cases. Scheduling an appointment with our veterinary team for spay and neuter procedures is as easy as picking up the phone, or sending us an email. Our experienced veterinary staff is here to help answer any questions or quell any concerns you might have, as well as to help schedule a surgical appointment for your canine companion at our hospital.